With soft French curves, the Cairn sink offers transitional style to suit contemporary and traditional kitchens alike. 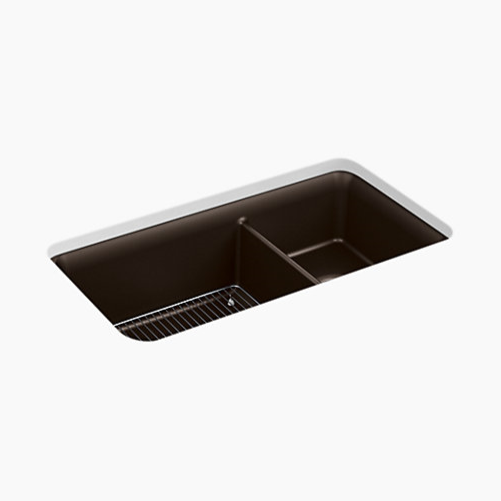 The Cairn sink is made of Kohler Neoroc, a matte-finish composite material designed for extreme durability and unmatched beauty. Richly colored to complement any countertop, Neoroc resists scratches, stains, and fading and is highly heat- and impact-resistant. This sink includes a bottom sink rack to keep the surface looking new. 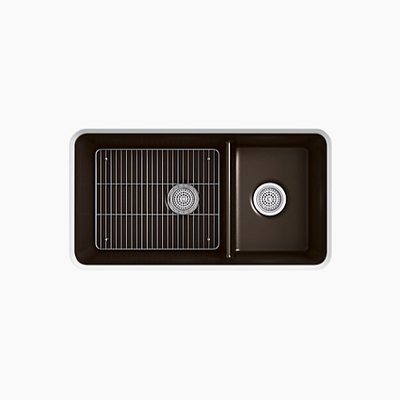 Versatile design allows large basin to be installed on the right or left. Large basin is 9-1/2 inches deep; small basin is 7-1/2 inches deep. Slim divide creates more space while allowing you to completely submerge pots and pans. Offset drain increases workspace in the sink. Includes K-5655 bottom sink rack. 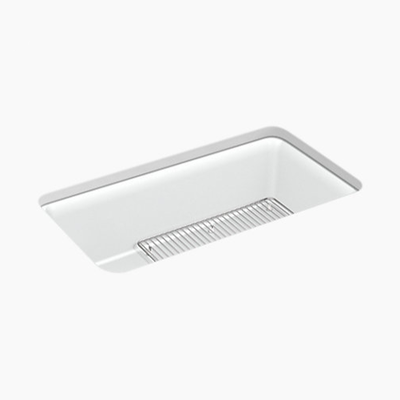 Includes cutout templates and installation clips.